I'm a fellow newcomer to enter the atmosphere of robotic combat. I may not know much about robotics but I used to love watching Robot Wars and Battlebots when I was younger :). 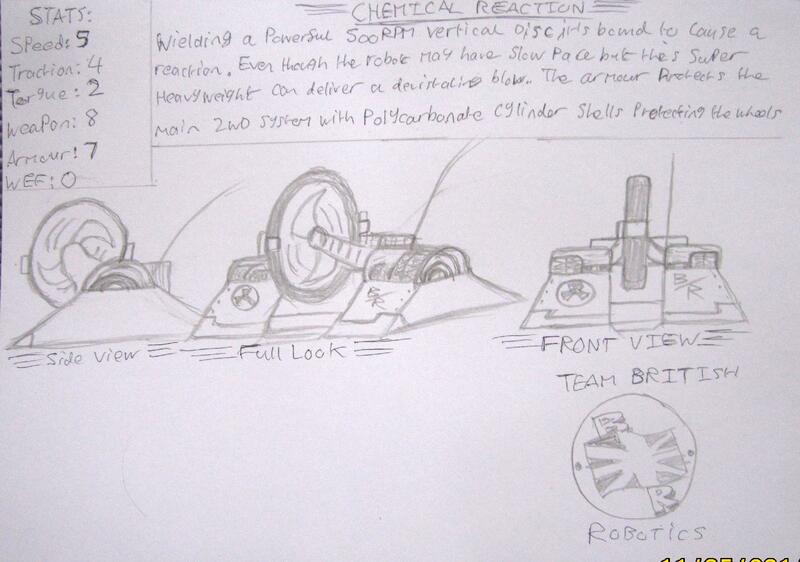 I used to do my own little competitions with my hand drawn robots I used to do. I found this website forum thanks to GF93 for mentioning about it and I thought to myself... "Time to make a name of my very own robots". I'm here for fun and enjoyment and so far I feel really welcomed being here too. Feel free to talk to me too I won't bite, a fellow Brit would not bite. Anyhow, I am Team British Robotics, and as you can tell by the username I am British of course all the way from Bolton. I'm also twenty one years of age. And these below the info are my first ever robots to participate in this world. I'm looking forward in battling and seeing how well my machines can perform, you never know they could become future champions one day *wink*. Feel free to have a look at them. 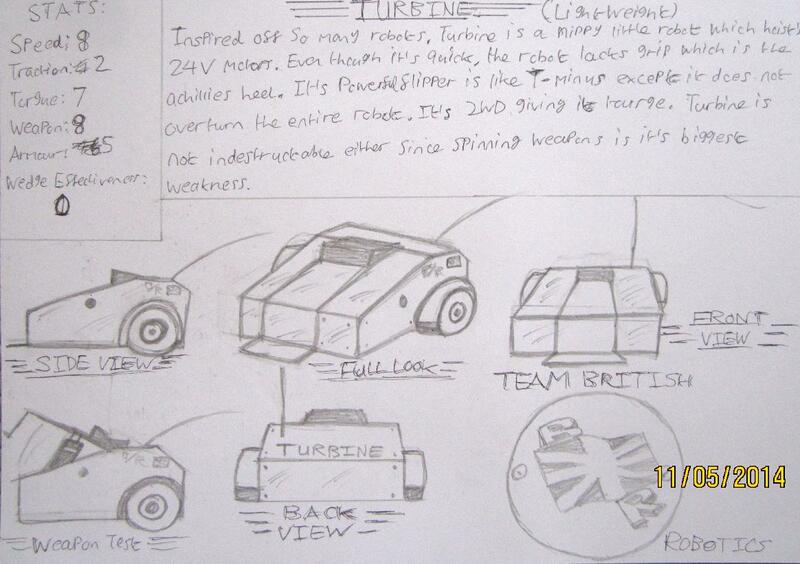 Inspired off so many robots, Turbine is a nippy little robot which hoist 24V motors, Near the speed of Wedge of Doom, even though it's quick, the traction is it's biggest problem since it's a 2WD and it slips along the floor sometimes like it's running on ice. This robot relies on it's powerful flipper. The flipper can sometimes make the robot hop a little from the front since all of the Co'2 gas has a high pressure, a huge amount of gas can be vented out which could be costly since so much energy is being thrown on the actual weapon. The armor is not the strongest in the world but it can resist a few blows depending on how powerful the opponents weapon is. It can self right as long it has enough gas left in it's weapon. 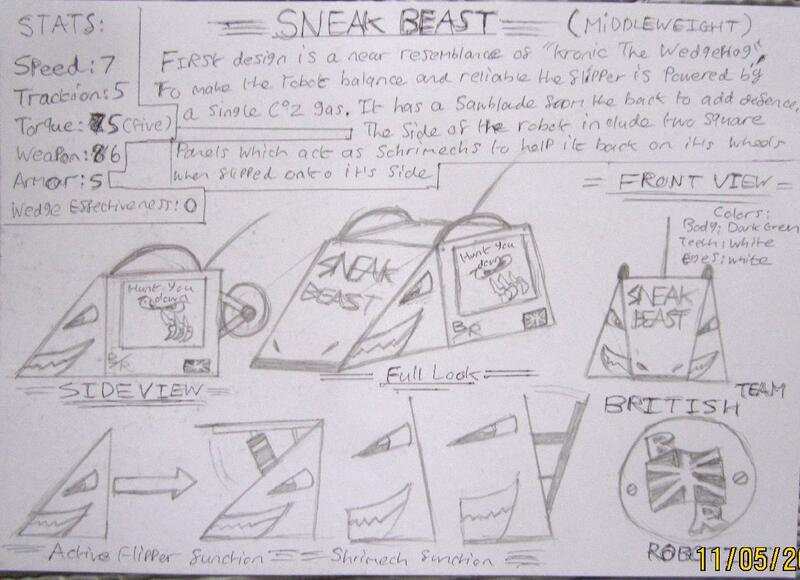 Sneak Beast is a resemblance to "Kronic the Wedgehog" (Series 4 Version Of Robot Wars), the robot is balanced, it's torque and traction is well controlled thanks to it's 4WD drive system. The weapon combined which includes a low pressure flipper and a circular saw blade combines the weapons strength. The reason for this is so the robot doesn't loose it's control from an overpowered weaponry system. It's amour is titanium which should do fine against other opposition. 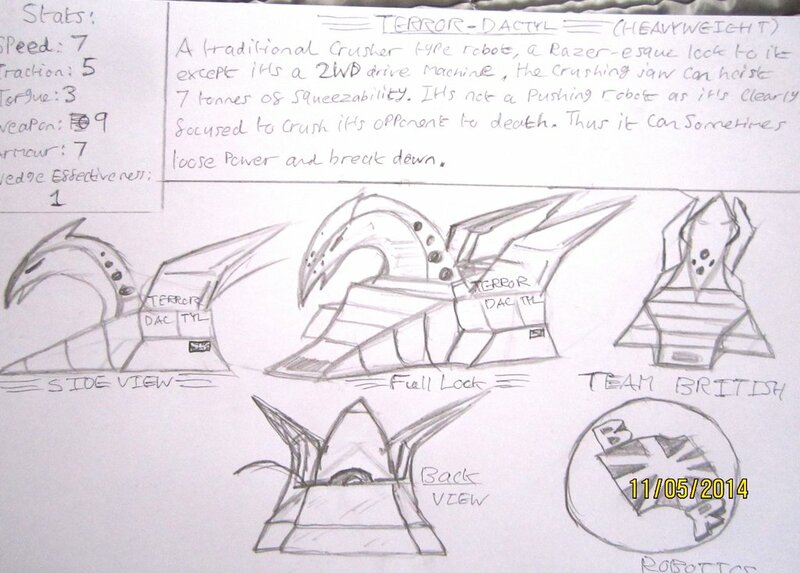 Terror-Dactyl has been my inspired dream machine when I used to watch Robot Wars, a nice Razer-esque resemblance to it but a nice design. This robot doesn't push as much as the other entrants since it relies on it's powerful crushing weapon able to give 7 tons of squeeze. At an average speed, it's a potent robot with a 2WD drive system, sometimes spins round depending how far the controls are pushed. The armour is a wonderful coated titanium giving this beast a sweet shine against the light. The robot has a self righting mechanism. Wielding a powerful 500rpm vertical spinning disc, it's bound to cause a reaction. Even thought the robot may have slow pace. It can deliver a devastating blow with the weapon. The armor is stainless steel added with polycarbonate cylinder shells to protect it's wheels and electronics. Not a bad starting team. Agreed there. The only one I don't really like is Sneak Beast, but that's only because it seems too tall and boxy to do well in an ARC competition. It still looks awesome, though I can see the rear circular saw being a minor hindrance. 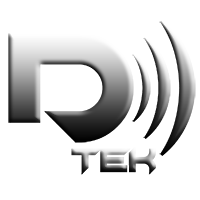 <blockquote class='quote_blockquote'><dl><dt>Badnik96</dt><dd>May 11 2014, 05:38 PM</dd></dl><div>Agreed there. The only one I don't really like is Sneak Beast, but that's only because it seems too tall and boxy to do well in an ARC competition. It still looks awesome, though I can see the rear circular saw being a minor hindrance. [/quote]It's a debut for Sneak Beast.. if he does poorly I'll improve him :) make him a bit better. Yeah, best way to learn is to get experience from battling. Not too bad to kick things off. As Kody said, entering tournaments and gaining experience is the best way to learn what works and what doesn't, and the strengths and weaknesses of your bots. I think you've got a decent baseline at the moment, the drawings/descriptions are pretty good, there's not too much guesswork involved. I'm looking forward to seeing where you can go from here. I really like the potential for Terror-Dactyl. 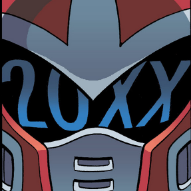 It seems that crusher claws are making a bit of a resurgence lately in ARC so there could be good things in it's future. Drew up a new middleweight to add in my army of machine, the camera is charging at the moment but the robots' name is Suraisu, named after a Japanese name meaning "Slice"
He has two weapons in front of the wedge, a spike tipped axe and a electric lifter next to it. The axe is powered by a CO2 gas canister giving in force, the axe may look simple but it can deliver a blow on top of the armor. If for reason the axe runs out of power the lifter will do it's job depending on the outcome of the battle. He's has a titanium shell followed with smart artwork including the Union Jack flame. Last edited by British-Robotics on Mon May 12, 2014 3:46 pm, edited 1 time in total. Chemical Reaction looks badass. If you got that thing CAD'ed, man that be ill.
Hmm... with Suraisu I think the hammer and the lifter arm are much too close together for the lifter arm to be effective at all. The way it's positioned it's going to be almost impossible to really dig that lifter arm under anything to get enough leverage to really do much of anything to them. This robot with have LED light in front to see where it's going, It has a front plate flipper right in front, part of the aerodynamic decoration on top of the machine act as a shrimech. it has a single pad on each side to avoid getting stuck on that position when it's flipper. Very unique and interesting design mate, reminds me of GBH 2 to an extent. <blockquote class='quote_blockquote'><dl><dt>prince palatine</dt><dd>May 16 2014, 05:22 PM</dd></dl><div>Very unique and interesting design mate, reminds me of GBH 2 to an extent.